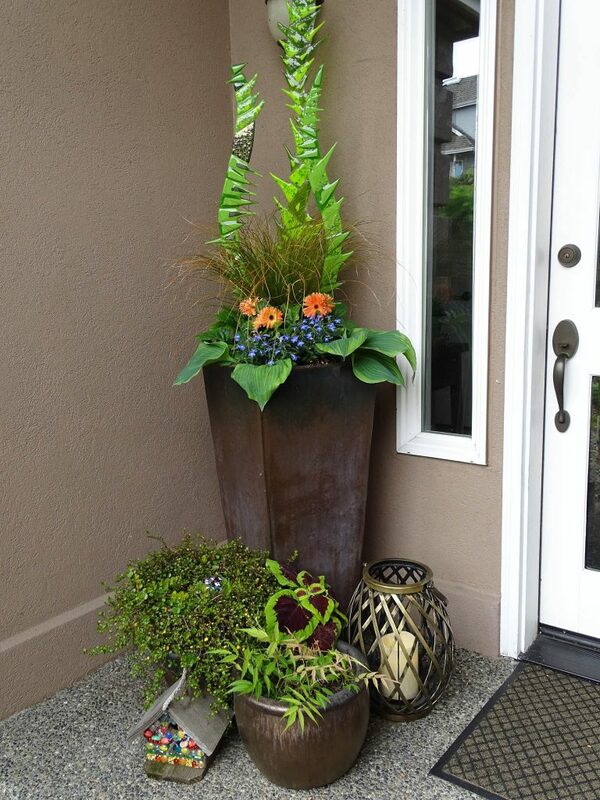 As the new year begins, your front porch needs to be welcoming with full of color and balance. During the winter months our front porch containers were planted Red Dogwood branches and custom glass reed art, but now Spring has arrived and we need a new beginning. 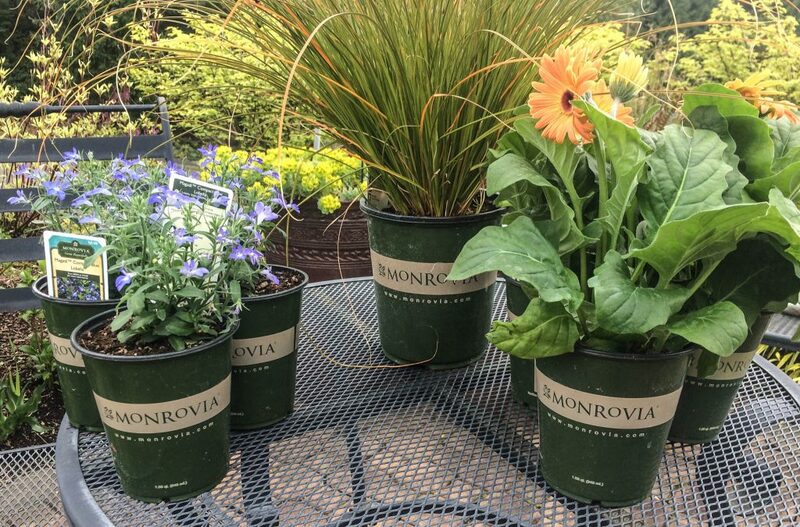 With help from my wife, we traveled to Lowes and walked the aisles and found three Monrovia plants we felt would bring color to the front door containers this spring. The theme was to keep it ‘Simple but Colorful’. 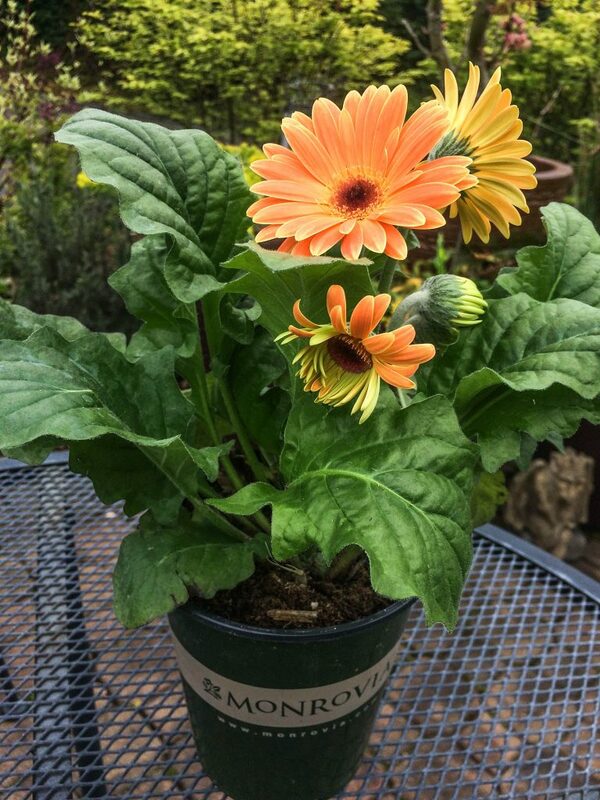 Any plant you buy will come with a plant tag and it’s important to read these tags prior to buying them. 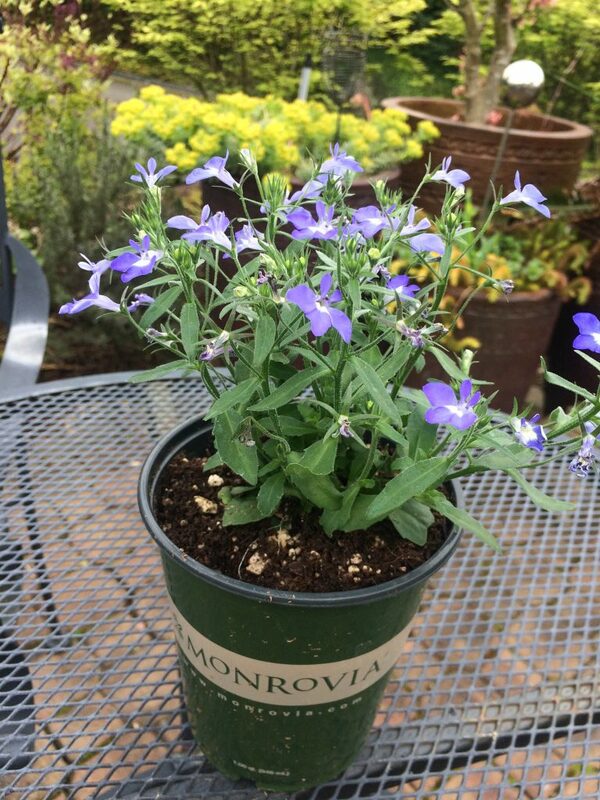 I’ll provide information from the Monrovia plant tags to help you understand more about each plant. 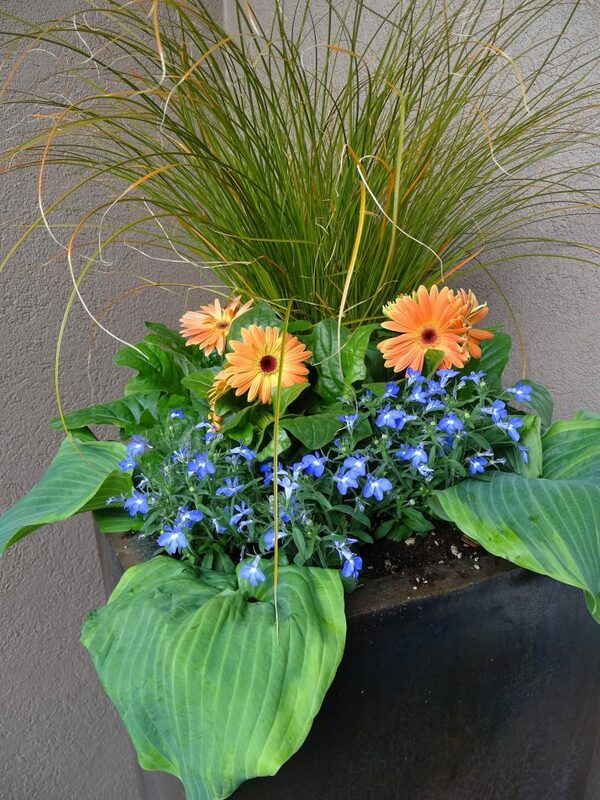 If you plan on having a seasonal planting, it may not be a concern unless you’re planting a Winter container. 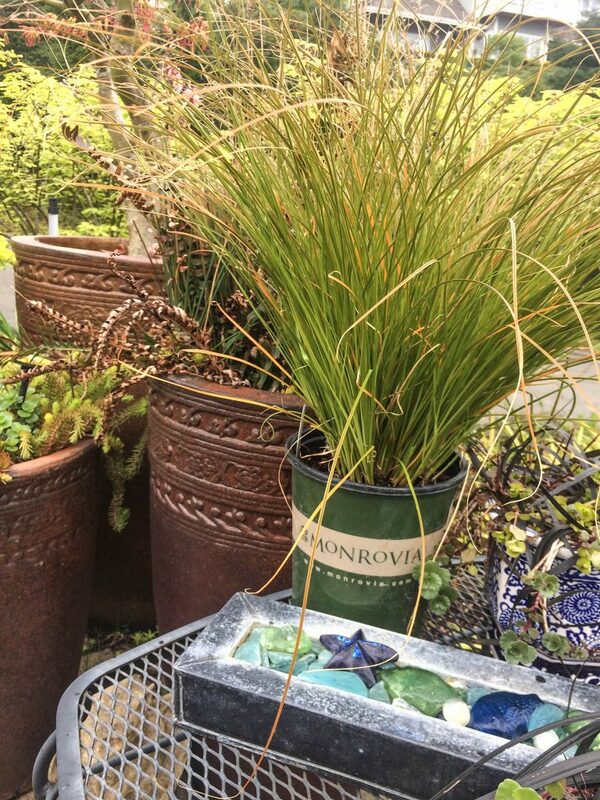 If you’re planting a Winter container design, be sure you know your Hardiness zone to understand if the plant will survive. This color was selected to bring out the colors in the Prairie Fire Sedge Grass. 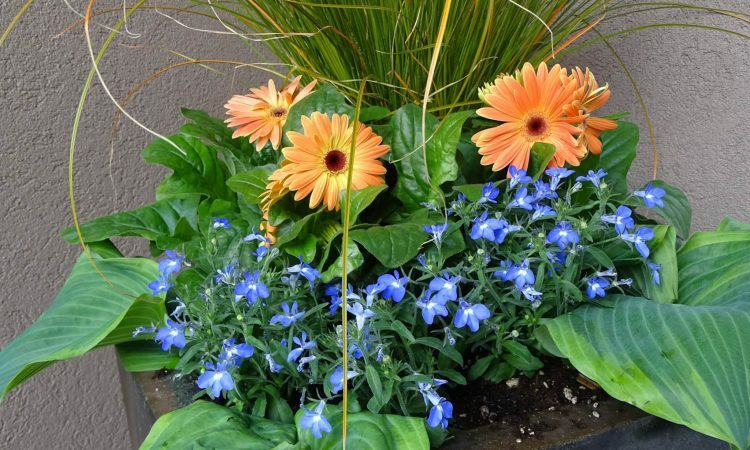 A quantity of 3 is required to support the container garden design. 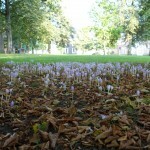 Leading the pack for heat tolerance offering brilliant color and a compact habit. 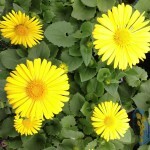 A strong performer for garden, containers, and baskets. Deer Resistant. Finely textured, glossy leaves emerge olive green and age to a distinctive orange-red. The elegant, arching, mounding form is a beautiful garden accent, ideal for containers, massing in borders or spilling over rocks. Outstanding color in full sun. Deer and rabbit resistant. Here it is, the final product with everything listed above. You can do this.. it was real easy and it all fits inside a 12 in x 12 in planting area. 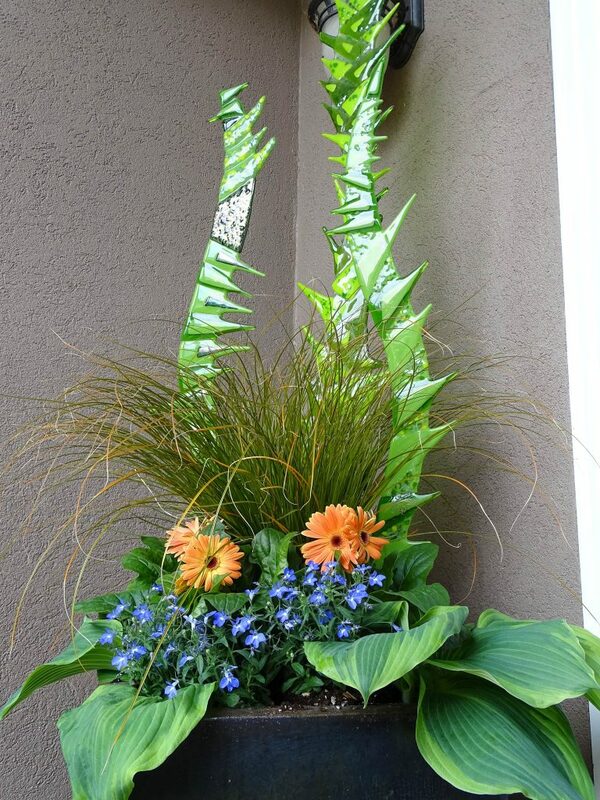 Yes, you will see a Hosta at the base of the pot. I can’t pull it out of the pot. The better half felt we should add the Glass Cast Reeds to provide additional height to design. This is our final design with extra pots at the base. I’m thankful Lowes had a great selection of Monrovia plants to choose from. What do you think of this design?